Chicago Tribune reporter Joe Mahr explains how lawyers have used loopholes in Illinois law so that many drunk drivers never lose a day of driving. Lose your license for DUI? The law may say so, but many suburbs cut deals around it. Illinois’ tough-sounding DUI statutes make one thing clear: Those arrested for drunken driving are almost guaranteed to lose their licenses for a time. But in suburbs across the Chicago area, a Tribune analysis found a special plea deal is regularly cut that allows those arrested to weave around get-tough laws and remain behind the wheel. In one town, half of those arrested in 2011 didn’t miss a day of driving, and an additional one-fourth got the deal in ways that only briefly kept them off the roads, the analysis showed. That’s in stark contrast to laws that proclaim anyone arrested for drunken driving will not be able to drive for at least a month, typically followed by months of intensive supervision that include a breath-monitoring device on their vehicles. Defense attorneys say the Tribune’s findings reflect a common-sense response by the courts to an overly harsh law, while advocates for tougher enforcement say the special deals reflect longtime concerns that some towns seem more interested in collecting fines than rehabilitating offenders. When told of the Tribune’s findings, Secretary of State Jesse White said he would seek recommendations from his traffic safety advisory panel on how to better enforce the law. Illinois Secretary of State data isn’t precise enough to measure how often drivers arrested for DUI walk away from the courts without any suspension. But the state data offers a range of how often it occured in different areas of metro Chicago in 2011, suggesting DuPage County leads the region…. The analysis showed the deal occurs across the state. But the data suggest that in metro Chicago drivers in DuPage County are most likely to be offered the deal. And within the county ground zero for the deal has been a middle-class enclave in the heart of suburbia: Bloomingdale, a west suburb known more for shopping malls than unusual courthouse tactics. The Tribune studied 2011 misdemeanor DUI arrests — to best ensure cases had been completed in the courts. Records show the plea deal was regularly cut in Bloomingdale not just for first-time offenders barely over the legal alcohol limit, but also for those who crashed or were previously arrested for DUI. In case after case, they didn’t miss a single day behind the wheel. According to police reports, Gamboa rear-ended a car so hard in Bloomingdale that it flew across an intersection, injuring the other driver. Testing at nearly twice the legal alcohol limit, he insisted he wasn’t drunk. He had pleaded guilty two years earlier to a DUI in Oak Brook before he tested at three times the legal limit in Bloomingdale, according to court and police records. On the way to the station, Sbertoli dropped a balled-up receipt in the back of the squad car that indicated he paid for 10 drinks that night, records state. Also getting the deal was Frank Willis. It was his third arrest in a decade, according to police and court records. Each time he refused testing, which is supposed to trigger an even longer suspension. Willis got a suspension after his second arrest in Mount Prospect. But he got no suspension for his third, in which Bloomingdale police said he nearly sideswiped a moving vehicle. Another three-peater getting the deal was Joseph Zuccaro. Two of the drivers who spoke to the Tribune said they deserved the deal because they weren’t really drunk, but records show they agreed to deals that included hefty fines. Bloomingdale is under a new mayor, Franco Coladipietro. He switched prosecutors after taking office in 2013 but said it had nothing to do with complaints the old prosecutor was too lenient. Bloomingdale’s former prosecutor did not respond to requests for comment from the Tribune, but in the past defended the deals as better ways to ensure drivers get treatment and avoid repeat arrests. The revelations come amid a decadeslong debate about just how much to punish drunken drivers — in a state with a rich history of get-tough legislation that contains enough fine print for arrestees to wiggle out of supposedly automatic penalties. A cornerstone of the law is the automatic loss of a driver’s license even if you’re only arrested and not convicted. To supporters of get-tough laws, the threat of losing a license provides a key incentive to keep many drivers sober. It also is a tangible punishment for those who drive drunk yet are cut breaks by what advocates often deride as notoriously lenient courts eager to cash in on lucrative DUI fines. “I believe a driver’s license is a precious commodity,” said Cathy Stanley, an anti-DUI advocate whose daughter was killed in 2001 by a repeat drunken driver. Critics, including many defense attorneys, counter that those arrested have a hard time being rehabilitated if they lose licenses they need to keep their jobs, drive to counseling and pay off fines. They bemoan get-tough laws that they say seem geared for politicians’ re-election brochures, not problem-solving. And some of those defense attorneys — because of the peculiarities of Illinois’ court system — also find themselves on the other side of the courtroom handling the prosecution for DUI cases. 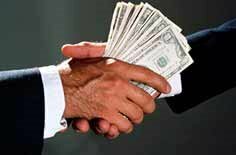 Illinois allows many cities and villages to prosecute their own DUI cases and keep much of the fine money. Cities and villages typically hire part-time prosecutors, drawing applicants from the ranks of defense attorneys, many of whom have cut their teeth defending drivers arrested for DUI. Critics say those defense attorneys-turned-prosecutors are more willing to cut the special deal in ways that stretch the boundaries of state law. 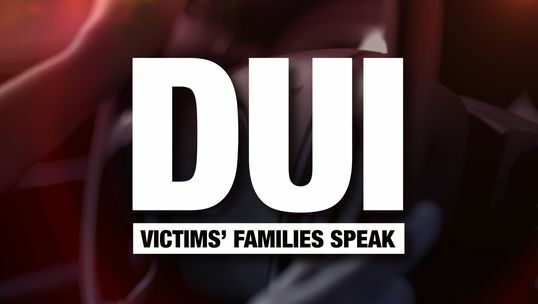 It’s because of the unique way DUIs are prosecuted. Unlike any other crime, DUI arrests spark two tracks of justice with two ways to automatically lose a driver’s license. Just for testing over the legal alcohol limit or refusing testing, a driver can have his or her license suspended by the secretary of state. This “statutory summary suspension” is supposed to occur 46 days after an arrest, regardless of what’s going on in the criminal case. Separately, if the criminal case ends with a DUI conviction, that also sparks a license revocation, a sanction that requires greater effort for a driver to undo. The suspension and revocation are supposed to complement each other to take drivers off the road for at least a month, and then bring them back with restrictions, such as breath-monitoring devices installed in their cars, before they get their full licenses back. But there are ways to stay on the road. For the statutory suspension, the defendant can ask a judge to void the suspension but has to prove at a hearing that police somehow mishandled the arrest. Examples might include the police lacking a good reason to stop the driver or not offering the chance to take a test to prove sobriety. The prosecutor, in theory, tries to show that the arrest was legitimate, and the judge is left to decide whether to toss the suspension. The deal also ends the criminal case — and the chance of a revocation — with a finding that it wasn’t technically a DUI conviction. A driver is convicted of a lesser crime, such as reckless driving or improper lane usage. Or the driver can plead guilty to DUI but get sentenced to a special probation that doesn’t technically count as a conviction. Either way, without a formal conviction for DUI, no license revocation is triggered. The legal maneuvering often creates a head-turning set of documents in the court file. Drivers will “win” the hearings on the summary suspension, implying they were wrongfully arrested, yet plead guilty to driving drunk. Then they’ll be sentenced in ways that carry hefty fines and fees — often $2,000 to $3,000 — but aren’t officially logged as DUI convictions. Though the legal matrix can be confusing to follow, the end result is simple: no loss of license. The plea deal has been offered for years, prompting occasional public outrage from advocates and county officials. But the state hasn’t studied how often the deals are cut — or where. In an effort to find out, the Tribune analyzed suspension and conviction data from the secretary of state’s office for those arrested in 2011, looking for the highest rates of drivers who kept their licenses. In the Chicago area, that appeared to occur most often in DuPage County, according to the analysis. The Tribune obtained court data from DuPage County to study where the deals were offered the most — scoring suburbs based on how often drivers left the courthouse without losing a day of driving. Whether someone got the deal often depended on where he or she got the DUI. In Burr Ridge, which straddles the Cook-DuPage border, only one of the 31 people arrested for DUI on the DuPage County side stayed on the roads uninterrupted after the arrest — for a rate of 3 percent. But the town is one of 15 suburbs in DuPage County that haven’t hired their own prosecutors. Instead, the DuPage County state’s attorney’s office handles the cases, and — common of countywide prosecutors — they’re leery of offering the more generous deals. That’s often not the case for towns that handle their own prosecutions. In Wheaton, the 2011 figures show the deal was cut for 19 percent of those arrested for misdemeanor DUI. It was cut for 22 percent of those arrested in Elmhurst. And 23 percent in Naperville. And 37 percent in Downers Grove. And 50 percent in Bloomingdale. Those numbers don’t count the times when a driver got the special deal after the summary suspension started. In those cases, drivers lost their licenses, but only for a few days or weeks until the deal was cut. Then everything returned to normal for their licenses, as if the DUI never happened. Adding those cases to the mix, the rate of arrested DUI drivers who benefited sometimes doubled in suburbs, topping out at 76 percent in Bloomingdale. That west suburb of 22,000 stands out among its peers for having a regional mall that anchors rows of big-box stores. But it also drew the ire of former DuPage County State’s Attorney Joseph Birkett, who told the Daily Herald in 2005 that the town was far too lenient in how it cut deals for those arrested for DUI. Still, the plea deals continued — even to those previously arrested for DUI. In the 2011 cases studied by the Tribune, repeat arrestees were more likely than not to get the deal. Eighteen had their suspensions voided — most of them after refusing to be tested. Records show the town made the prosecutor, Thomas Howard, file reports every month documenting how he handled DUI cases. For some cases he said he cut the deal out of sympathy for the defendant, such as: “Gave 58-year-old woman chance to save job.” He didn’t note it was her second arrest in a year. Other times, Howard complained of weak evidence, such as with Willis and Zuccaro. In both cases, he justified the deal by saying in his reports that there were no field sobriety tests or breath tests. He did not note that the tests weren’t given because both men refused to take them, according to police reports — a scenario envisioned under Illinois law that mandates at least a one-year license suspension. Instead, court records show, the two men got the special deal that voided that suspension. Willis and Zuccaro both told the Tribune they weren’t drunk the nights they were arrested by Bloomingdale. Willis also said he’s never been drunk enough to merit arrest. That, he said, included his most recent arrest, 11 months ago, in Chicago’s Portage Park neighborhood. Police said they saw him stumbling out of a parked car, with its engine running, carrying a bottle of rum and smelling of alcohol, records show.